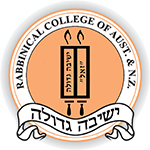 Australian Student Application - Rabbinical College of Australia and N.Z. To apply as an Australian student at the Rabbinical College of Australia & New Zealand, please read the following important information, and then complete the online application form below. Further information will be provided upon successful acceptance. Alternatively, you may contact the office with any specific questions. After completion of all review procedures, applicant's parents will be notified whether their son has met acceptance criteria. Students are considered for admission based on evidence of the applicant's desire and potential for success at the Rabbinical College of Australia & New Zealand. Upon finalisation of financial arrangements, prompt return of completed enrolment forms is required to reserve a student's place at the College. The Rabbinical College of Australia & NZ does not engage or retain the services of any agents for the recruitment or enrolment of students, whether local, interstate or international. All applications must be forwarded directly to the administration office of the College.